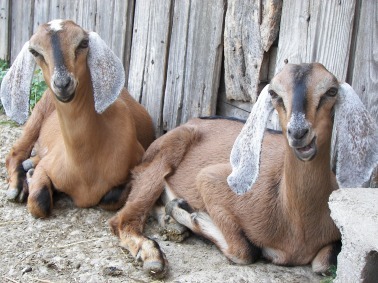 Nubian dairy goats were the first animals we had on the farm. Aren't they beautiful creatures? And friendly, too, if you don't mind them nibbling on your elbow. 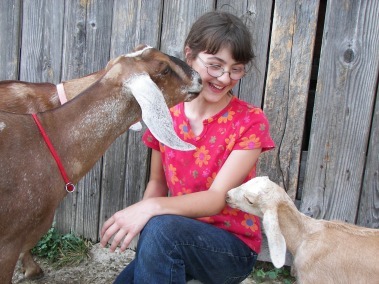 We raise ADGA registered goats primarily to keep the family in milk, cheese, yogurt and handmade goat milk soap. 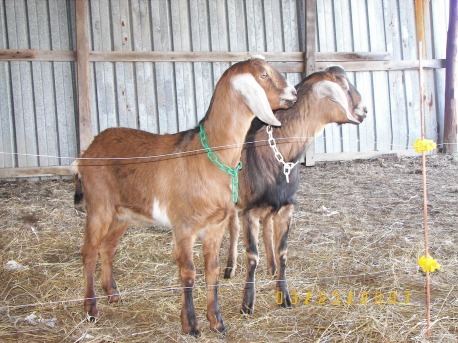 Our dairy herd is still fairly small, but as we continue to grow and improve the herd through the genetics of a quality purebred buck, we will have goats for sale so you, too, can have a family milk herd. Seriously, time spent milking the does is among the best parts of the day.